Purchased a 20mpg club membership. I first drove the cleanest ‘02 this morning, the same one I posted about earlier and after crawling up underneath it and all around, that sucker was, I mean this, incredibly clean. Red factory overspray still visible where it should have worn off long ago. The floor pans were metal colored and virgin new. Frame spotless. Even by the cat area, it was still that nice graphite black frames should be. All original paint. 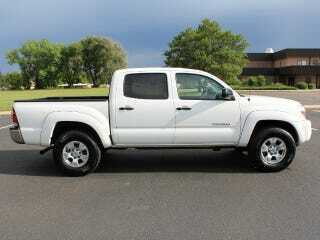 But in the end, concerns for my ability to get to work without a single issue arose as well as the wife’s desire for something not waiting for a random accessory to fail.So enter the 2011 white taco. a set of snows for next winter. For now, I need to calibrate my senses for a car payment once again.